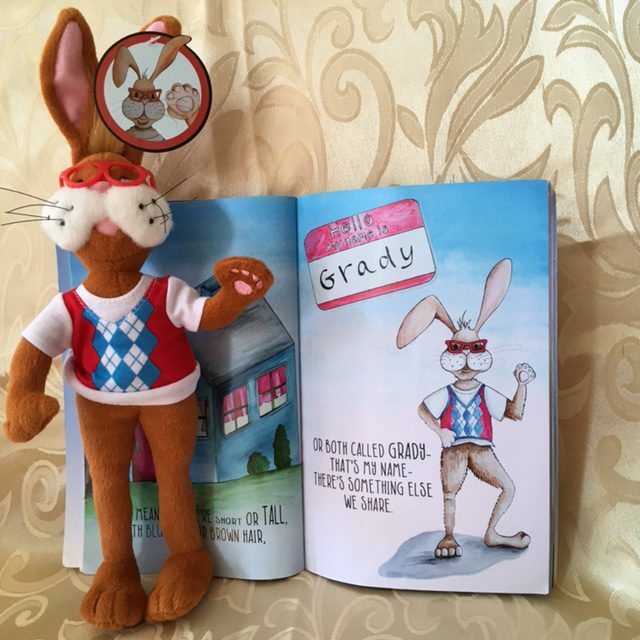 Grady Gets Glasses, the first book in the Grady series, is about a rabbit named Grady who gets glasses! 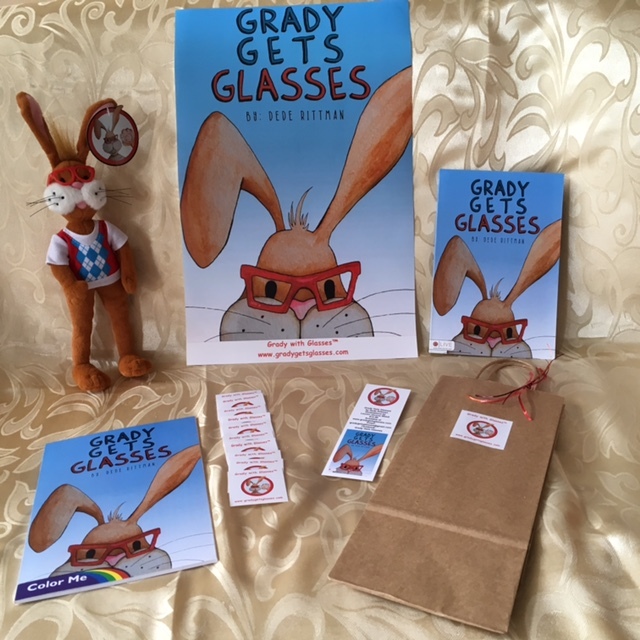 Author Dede Rittman has written a book in verse, with Grady (the rabbit) explaining near/farsighted, care/wearing/importance of glasses, all while making the child feel special! Lauren Givens Wood created gorgeous watercolor illustrations, and kids love the rabbit and the rhymes! 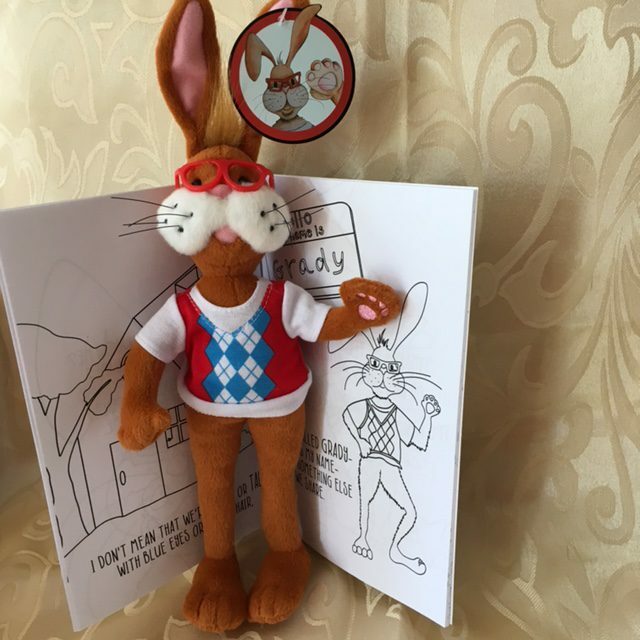 Grady coloring book with text- just like the book, except in black and white and ready to color! 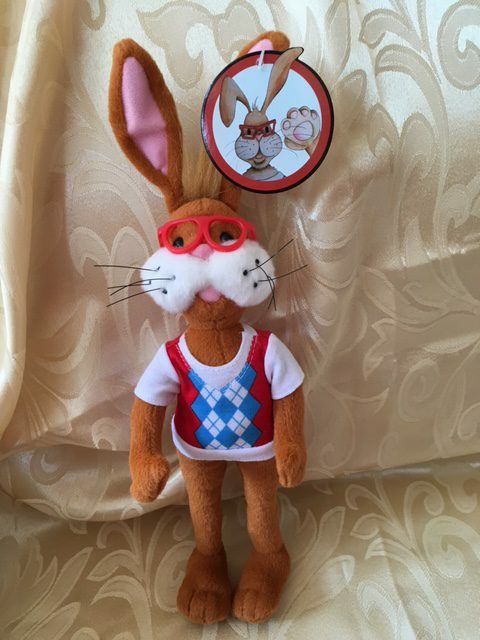 Plush toy Grady bunny (12″ tall-flexible-made in China), recommended for ages 5 and up. 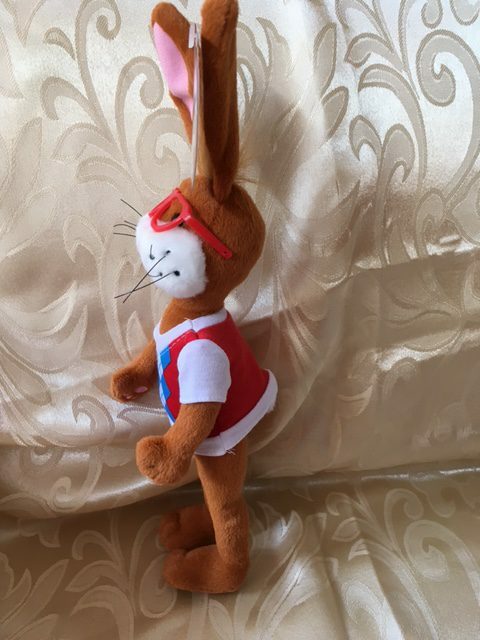 Grady’s red plastic glasses are sewn to the sides of his head. Grady gift bag and tissue paper- ready to give as a gift! 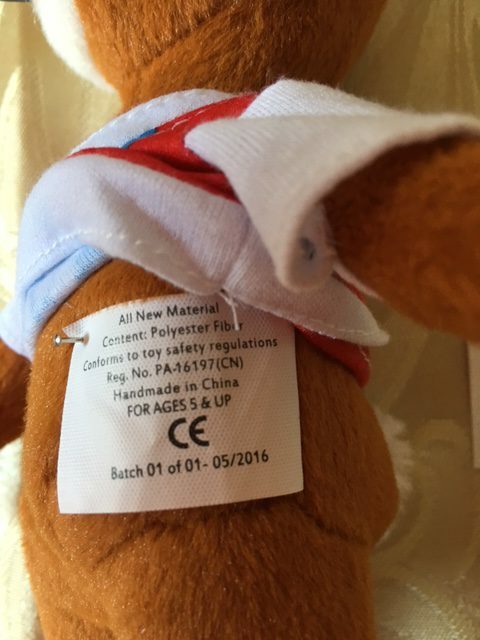 International shipping will be priced according to country. Items will be shipped in a box weighing about 3 pounds.